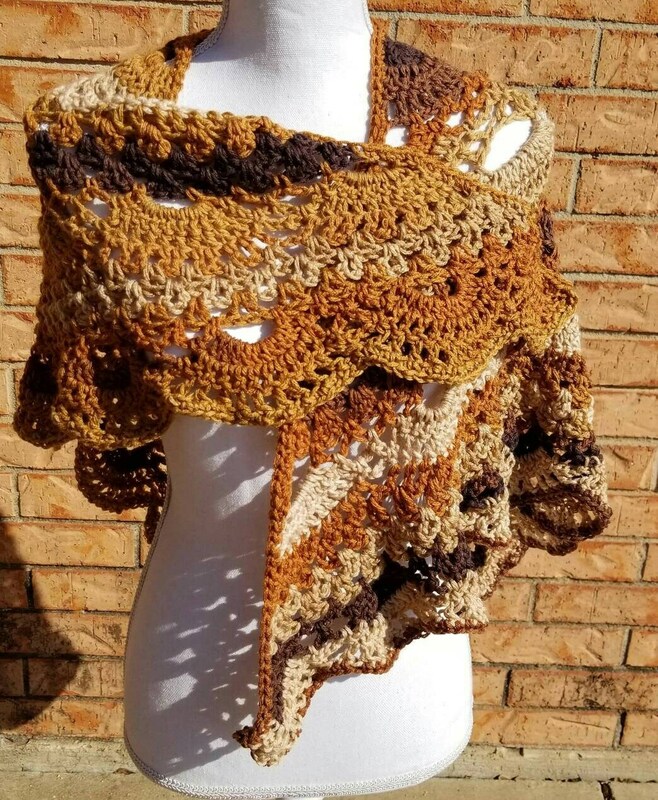 Lovely Shades of brown in this beautiful shawl. A mix of virus shawl and Granny in the pattern making this unique and one of a kind. It's 62 in wide and 28-30 in from neck to the point. Hand crocheted using acrylic yarn. Machine washable and dry gentle and warm.